This image is very similar to 5274800 but does not have grated cheese. This is a key difference. Many restaurants will not use cheese on Bruschetta so 5274800 is not a useable image for them. 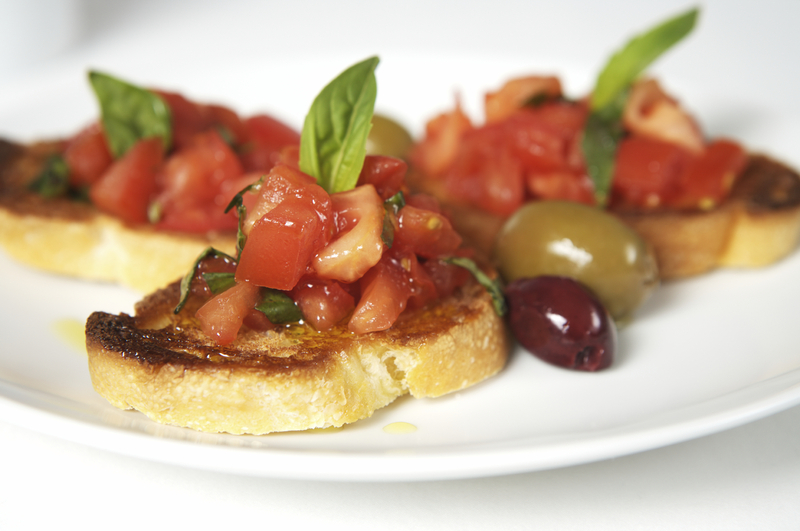 Italian Bruschetta appetizer without grated parmesan cheese.